Following my experiments of our previous post, we have a new achievement!! It´s an implementation to roll the windows up/down with the remote keys. Now I can decide the sequence which I want to use. I´ve decided a long press is the most suitable. The comfort bus is very small (not too many messages) and it´s very straight to decode messages. 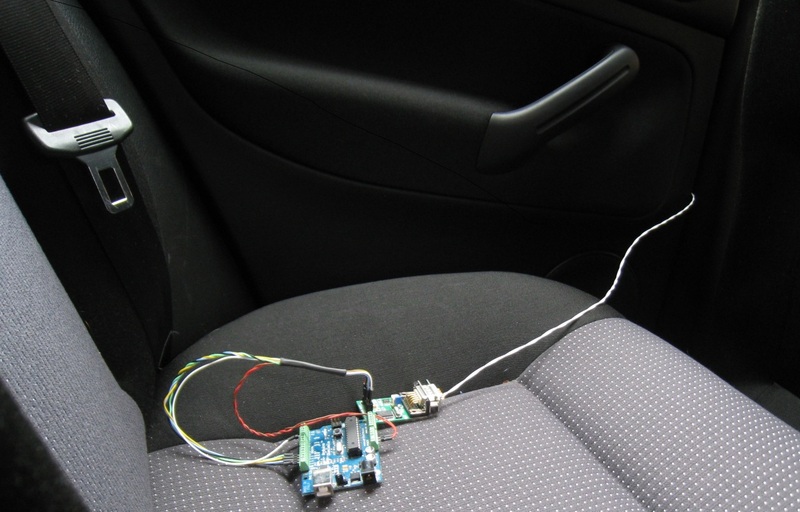 The difficulty has been to discover how to wake up the devices when the car is locked/unlocked with the remote. There is one message which contains only 1 byte and it changes the value depending of the key´s state (no key, key inserted, key inserted and in the ignition position). I´ve tried to send this message (key in the ignition position) and voilá!!! The devices have started to send messages and the most important thing, they have answered to my request to roll up/down. I'll keep updated the new achievements!! thanks for the great webpage! Which message ID is in charge of waking up? This is similar to a project I am working on. I am trying to get the CCM and HVAC to function outside the vehicle. Have you identified the "Keep Alive" message and/or the module that transmits that message?